Artificial intelligence is the technology that enables a computer program or machine to mimic human intelligence. In fact, it is a collection of technologies ranging from robotics and machine learning to natural language processing and even emotion recognition. It is expected that close to 80% of emerging technologies will use AI in some form by 2021. When we speak about software, this percentage is likely to shoot to 100% by 2020, according to Gartner. In the context of Enterprise Resource Planning (ERP), robotics and AI are quickly changing the game. While robotics have helped ERP to integrate smart sensors and IoT devices to provide better field management and customer service, AI has come to influence almost every aspect of ERP. In fact, businesses will not be able to conduct regular operations without some element of AI integration. 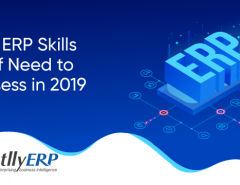 In this article, let us take a look at how AI and robotics are going to influence ERP both in the short and long terms. Robotics has considerably improved delivery management in warehouses. Identifying and packing products have become a lot more efficient, and so has the process of documenting and maintaining the databases. In addition, AI can be integrated with ERP to predict delays in deliveries or non-availability of customers at their given address. AI has also shown to reduce errors in packaging and deliveries, enhancing delivery management at all levels. In the short term, robotics will be used to enhance the efficiency of packaging and product management at warehouses. AI can be used to predict shipping delays and availability of customers. In the long term, AI and robotics will be used to morph ERP into something more primal that can think and act on its own to a certain degree. 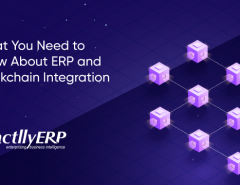 Current inventory management techniques greatly depend on ERP’s ability to automate manual tasks and predict when supplies need to be replenished, AI will help integrate ERP developers to integrate predictive analysis and other smart statistical tools to understand and predict trends that will affect inventory. For instance, weather patterns could accurately be predicted and warm clothes can be replenished by the time a blizzard arrives so that customers will not have to turn to a different online store for shopping sweaters. In the short term, predictive analysis is going to help ERP to make better predictions and derive richer insights. 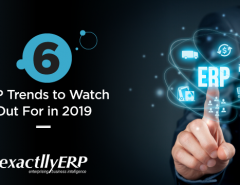 In the future, ERP may become smarter thanks to AI’s ability to collate and corroborate seemingly unrelated variables to ensure better inventory management. Integrating ERP with AI can dramatically improve the user experience of employees. When AI is integrated with field management systems, it can quickly help a field management ERP to learn the circumstances in which field staff work. This knowledge mimics human learning and can be extremely beneficial to staff who work in hazardous conditions. For instance, field management system can warn staff of accidents before they can occur in industrial settings, while delivery staff can be forewarned if the consignee is unlikely to be available to receive the package. AI can also learn from various other software programs and share that knowledge with ERP in order to help it function better. In fact, traditional integrations may soon involve some level of AI. Artificial intelligence’s most popular contribution to customer service has been chatbots. They are already used across customer support teams and they help to enhance customer experience while shopping and during support requests. When AI is integrated with ERP, it can predict when customer satisfaction is taking a hit and can make automated requests to replenish the inventory or ensure faster deliveries. Robotics can be used to enhance precision of product development and manufacturing, so that customers will have less to complain about anyway. Similarly, artificial intelligence can be used across ERP modules to ensure your business functions efficiently, which is what is needed to ensure high customer satisfaction scores as well. Both AI and robotics can help reduce the burden on human resource departments by making it easier to manage employees. Robotics can help staff with certain specialized operations while AI can be used to provide various kinds of assistance to staff. Managing their records, providing them appraisals and even helping them get trained can all be improved with the help of AI. 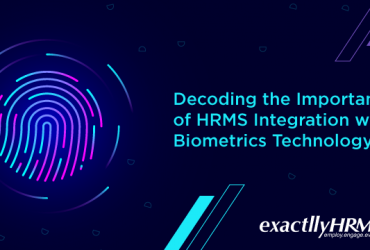 When integrated with ERP, AI brings employees closer to the human resource department while also setting them free. Businesses will no longer need HR managers to prepare lengthy presentations for employees. AI will help do that all by itself, and even customize presentations depending staff skill level. If you already have an ERP in place, you can start with integrating AI or robotics in small ways. For example, if you don’t use chatbots, start using them alongside your ERP’s customer support module. Consider robotic technology to make packing and shipping more efficient. Use natural language processing to understand what customers are talking about your brand, so that you can take necessary actions to enhance customer satisfaction. There are multiple ways AI and robotics can help your specific business requirements. Contact us today to find out how you can integrate your ERP with AI or robotics for your specific requirements.